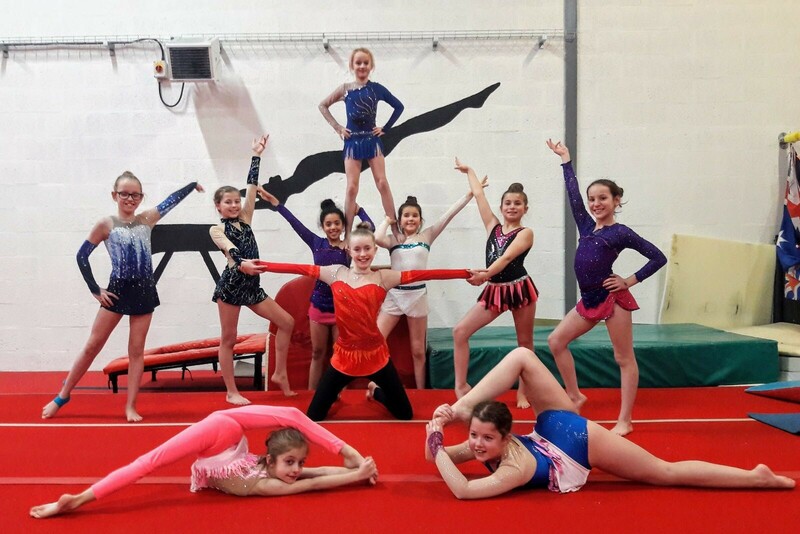 The Acro Dance Team who train at Planet Gymnastics have hit the dizzying heights of being selected to represent Wales in the Dance World Cup in Sitges, Spain in June this year. The Planet Gymnastics Acro Squad was formed less than a year ago to audition for the Dance World Cup which took place in Offenburg, Germany in June 2017, and following their success in that competition, the Squad has expanded and is now made up of 10 girls aged between 9 and 13, from across Cardiff and Vale of Glamorgan. The girls all attend specific Acro training sessions alongside their training in Artistic and Rhythmic Gymnastics at the amateur gymnastics club in Grangetown, Cardiff. Taking part in the competition comes at a cost. Grassroots Dance receives no external funding, so the girls and their parents are having to fund the trip themselves. They have therefore started fundraising to ensure that all of the girls who have qualified can take part. If you or your company are interested in supporting the girls, please email Eirian Thomas, the club’s volunteer administrator at eirian.planetgymnastics@gmail.com. Planet Gymnastics is a not-for-profit gymnastics centre, based in Grangetown, Cardiff. Founded in 2008, by the family team of Becky and Denise Morgan, Planet offers coaching and classes in artistic , acro and rhythmic gymnastics, ballet and dance. The gym sees over 1000 children come to classes each week, and caters for all ages, levels and abilities. Planet’s squad gymnasts mostly come through from the gym’s recreational gymnastics classes. Coaches at the centre are fully qualified British Gymnastics coaches, and most of them are volunteers. Over 12,000 children and young people from around the world will audition to take part in the Dance World Cup this year. The finals take place in a different city each year, and in 2018, they will take place from 22nd June – 1st July in Sitges, Spain, where 4000 dancers aged between 4 and 25 from 47 countries will compete in dance genres including ballet, acro, contemporary, tap and hip-hop.